Criminalize Conservatism: Why Are So Many People Religious? 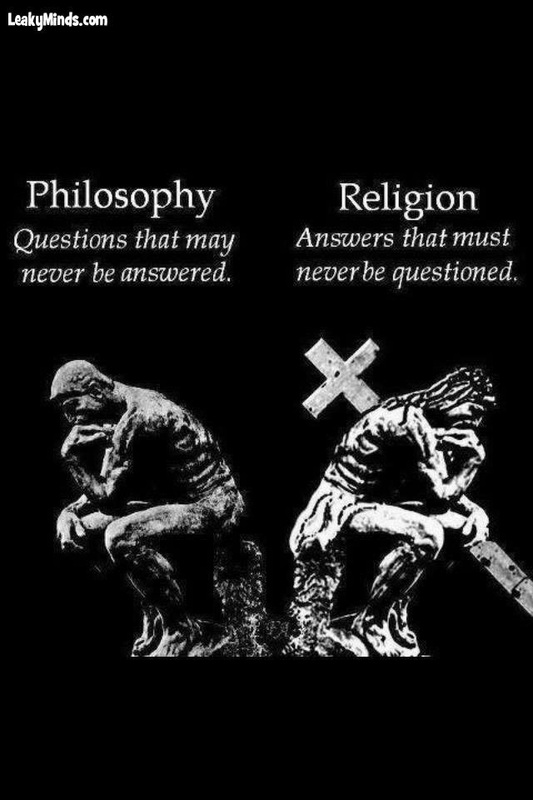 Why Are So Many People Religious? "As far as I’m concerned, the most interesting question about religion isn’t whether God exists but why so many people are religious. There are around 10,000 different religions, each of which is convinced that there’s only one Truth and that they alone possess it. Hating people with a different faith seems to be part of belief. Around the year 1500, the church reformer Martin Luther described Jews as a 'brood of vipers.' Over the centuries the Christian hatred of the Jews led to pogroms and ultimately made the Holocaust possible. In 1947, over a million people were slaughtered when British India was partitioned into India for the Hindus and Pakistan for the Muslims. Nor has interfaith hatred diminished since then. Since the year 2000, 43 percent of civil wars have been of a religious nature. "Almost 64 percent of the world’s population is Catholic, Protestant, Muslim, or Hindu. And faith is extremely tenacious. For many years, Communism was the only permitted belief in China and religion was banned, being regarded, in the tradition of Karl Marx, as the opium of the masses. But in 2007, one-third of Chinese people over the age of 16 said that they were religious. Since that figure comes from a state-controlled newspaper, the China Daily, the true number of believers is likely at least that high. Around 95 percent of Americans say that they believe in God, 90 percent pray, 82 percent believe that God can perform miracles, and over 70 percent believe in life after death. It’s striking that only 50 percent believe in hell, which shows a certain lack of consistency. In the Netherlands, a much more secular country, the percentages are lower. A study carried out in April 2007 showed that in the space of 40 years, secularization had increased from 33 to 61 percent. Over half of the Dutch people doubt the existence of a higher power and are either agnostic or believe in an unspecified 'something.' Only 14 percent are atheists, the same percentage as Protestants. There are slightly more Catholics (16 percent). "In 2006, during a symposium in Istanbul, Herman van Praag, a professor of biological psychiatry, taking his lead from the 95 percent of believers in the United States, tried to convince me that atheism was an 'anomaly.' 'That depends on who you compare yourself to,' I replied. In 1996 a poll of American scientists revealed that only 39 percent were believers, a much smaller percentage than the national average. Only 7 percent of the country’s top scientists (defined for this poll as the members of the National Academy of Sciences) professed a belief in God, while almost no Nobel laureates are religious. A mere 3 percent of the eminent scientists who are members of Britain’s Royal Society are religious. Moreover, meta-analysis has shown a correlation among atheism, education, and IQ. So there are striking differences within populations, and it’s clear that degree of atheism is linked to intelligence, education, academic achievement, and a positive interest in natural science. Scientists also differ per discipline: Biologists are less prone to believe in God and the hereafter than physicists. So it isn’t surprising that the vast majority (78 percent) of eminent evolutionary biologists polled called themselves materialists (meaning that they believe physical matter to be the only reality). Almost three quarters (72 percent) of them regarded religion as a social phenomenon that had evolved along with Homo sapiens. They saw it as part of evolution, rather than conflicting with it. "It does indeed seem that religion must have afforded an evolutionary advantage. Receptiveness to religion is determined by spirituality, which is 50 percent genetically determined, as twin studies have shown. Spirituality is a characteristic that everyone has to a degree, even if they don’t belong to a church. Religion is the local shape given to our spiritual feelings. The decision to be religious or not certainly isn’t 'free.' The surroundings in which we grow up cause the parental religion to be imprinted in our brain circuitries during early development, in a similar way to our native language. Chemical messengers like serotonin affect the extent to which we are spiritual: The number of serotonin receptors in the brain corresponds to scores for spirituality. And substances that affect serotonin, like LSD, mescaline (from the peyote cactus), and psilocybin (from magic mushrooms) can generate mystical and spiritual experiences. Spiritual experiences can also be induced with substances that affect the brain’s opiate system. "Dean Hamer believes that he has identified the gene that predisposes our level of spirituality, as he describes in 'The God Gene' (2004). But since it will probably prove to be simply one of the many genes involved, he’d have done better to call his book 'A God Gene.' The gene in question codes for VMAT2 (vesicular monoamine transporter 2), a protein that wraps chemical messengers (monoamines) in vesicles for transport through the nerve fibers and is crucial to many brain functions. 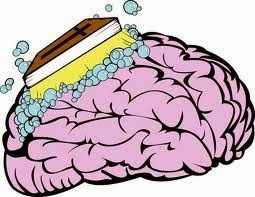 "The religious programming of a child’s brain starts after birth. The British evolutionary biologist Richard Dawkins is rightly incensed when reference is made to 'Christian, Muslim, or Jewish children,' because young children don’t have any kind of faith of their own; faith is imprinted in them at a very impressionable stage by their Christian, Muslim, or Jewish parents. Dawkins rightly points out that society wouldn’t tolerate the notion of atheist, humanist, or agnostic four-year-olds and that you shouldn’t teach children what to think but how to think. Dawkins sees programmed belief as a byproduct of evolution. Children accept warnings and instructions issued by their parents and other authorities instantly and without argument, which protects them from danger. As a result, young children are credulous and therefore easy to indoctrinate. This might explain the universal tendency to retain the parental faith. Copying, the foundation of social learning, is an extremely efficient mechanism. 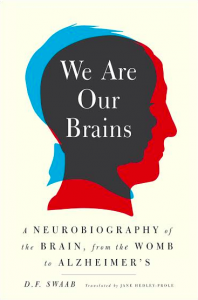 We even have a separate system of mirror neurons for it. 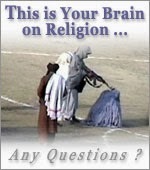 In this way, religious ideas like the belief that there’s life after death, that if you die as a martyr you go to paradise and are given 72 virgins as a reward, that unbelievers should be persecuted, and that nothing is more important than belief in God are also passed on from generation to generation and imprinted in our brain circuitry. We all know from those around us how hard it is to shed ideas that have been instilled in early development. "The evolution of modern man has given rise to five behavioral characteristics common to all cultures: language, toolmaking, music, art, and religion. Precursors of all these characteristics, with the exception of religion, can be found in the animal kingdom. However, the evolutionary advantage of religion to humankind is clear. "One is the message that it’s sinful to marry an unbeliever (that is, someone with a different belief). As an old Dutch proverb states, 'When two faiths share a pillow, the devil sleeps in the middle.' This principle is common to all religions, with attendant punishments and warnings. Segregating education according to faith makes it easier to reject others, because ignorance breeds contempt. "Another is the imposition of numerous social rules on the individual in the name of God, sometimes accompanied by dire threats about the fate of those who don’t keep them. One of the Ten Commandments, for instance, is lent force by the threat of a curse 'unto the fourth generation.' 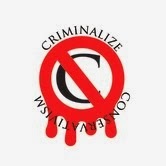 Blasphemy is severely punished in the Old Testament and is still a capital offense in Pakistan. Threats have also helped to make churches rich and powerful. In the Middle Ages, enormous sums were paid in return for 'indulgences,' shortening the time that someone would spend in purgatory. As Johann Tetzel, a preacher known for selling indulgences, is alleged to have put it, 'As soon as a coin in the coffer rings, a soul from purgatory springs' In the beginning of the previous century, Catholic clerics were still automatically awarded indulgences based on the rank they held in the church. Threats and intimidation are effective even in this day and age. In Colorado, a pastor has introduced the idea of 'Hell Houses,' where fundamentalist Christian schools send children to frighten them about the punishments that await them in the afterlife if they stray from the straight and narrow. "A further binding mechanism is being recognizable as a member of the group. This can take the form of distinguishing signs, like black clothing, a yarmulke, a cross, a headscarf, or a burka; or physical characteristics, like the circumcision of boys or girls; or knowledge of the holy scriptures, prayers, and rituals. You must be able to see who belongs to the group in order to obtain protection from fellow members. This mechanism is so strong that it seems senseless to try to ban people from wearing distinguishing accessories or items of clothing like headscarves. Social contacts within the group also bring with them considerable advantages and play an important role in American churches. The feeling of group kinship has been strengthened over the centuries by holy relics worshiped by the various faiths. It doesn’t matter that there are wagonloads of Buddha’s ashes in temples in China and Japan, nor that so many splinters of the True Cross have been preserved that, according to Erasmus, you could build a fleet of ships from them. The point is that such things keep the group together. The same applies to the 20 or so churches that claim to have Christ’s original foreskin in their possession. (According to Jewish tradition, he was circumcised at the age of eight days.) Some theologians have argued that Christ’s foreskin was restored on his ascension to heaven. However, according to the 17th-century theologian Leo Allatius, the Holy Prepuce ascended to heaven separately, forming the ring around Saturn. "Finally, most religions have rules that promote reproduction. This can entail a ban on contraception. The faith is spread by having children and then indoctrinating them, making the group bigger and therefore stronger. "(2) Traditionally, the commandments and prohibitions imposed by religions had a number of advantages. Besides the protection offered by the group, the social contacts and prescriptions (like kosher food) had some beneficial effects on health. Even today, various studies suggest that religious belief is associated with better mental health, as indicated by satisfaction with life, better mood, greater happiness, less depression, fewer suicidal inclinations, and less addiction. However, the causality of these correlations hasn’t been demonstrated, and the links aren’t conclusive. Moreover, the reduced incidence of depression applies only to women. Men who are regular churchgoers are in fact more likely to become depressed. An Israeli study showed that, in complete opposition to the researchers’ hypothesis, a religious lifestyle was associated with a doubled risk of dementia 35 years later. Moreover, there are studies showing that praying is positively correlated with psychiatric problems. "(3) Having a religious faith is a source of comfort and help at difficult times, whereas atheists have to solve their difficulties without divine aid. Believers can also console themselves that God must have had a purpose in afflicting them. In other words, they see their problems as a test or punishment, that is, as having some meaning. 'Because people have a sense of purpose, they assume that God, too, acts according to purpose,' Spinoza said. He concluded that belief in a personal god came about because humans assumed that everything around them had been created for their use by a being who ruled over nature. So they viewed all calamities, like earthquakes, accidents, volcanic eruptions, epidemics, and floods, as a punishment by that same being. According to Spinoza, religion emerged as a desperate attempt to ward off God’s wrath. "(4) God has the answer to everything that we don’t know or understand, and belief makes you optimistic ('Yes, I’m singin’ a happy song/With a Friend like Jesus I’ll stand strong'). Faith also gives you the assurance that even if times are hard now, things will be much better in the next life. Curiously, adherents of religion always claim that it adds 'meaning' to their life, as if it were impossible to lead a meaningful life without divine intervention. "(6) A very important element of religion has always been that it sanctions killing other groups in the name of one’s own god. The evolutionary advantage of the combination of aggression, a group distinguishable by its belief, and discrimination of others is clear. Over millions of years, humans have developed in an environment where there was just enough food for one’s own group. Any other group encountered in the savanna posed a mortal threat and had to be destroyed. These evolutionary traits of aggression and tribalism can’t be wiped out by a few generations of centrally heated life. That explains why xenophobia is still so widespread in our society. The whole world is full of conflicts between groups with different faiths. Since time immemorial the “peace of God” has been imposed on others by fire and sword. That’s unlikely to change soon. "Though it comes at a price, belonging to a group brought with it many advantages. The protection it offered against other groups improved survival chances. But the harm caused by religions — largely to outsiders, but also to members of the group — is enormous. It seems as if this situation won’t persist indefinitely, though. A study by the British politician Evan Luard showed that the nature of wars has been changing since the Middle Ages and that they are gradually becoming shorter and fewer in number. So we may perhaps be cautiously optimistic. Since the evolutionary advantage of religion as a binding agent and aggression as a means of eliminating outsiders will disappear in a globalized economy and information society, both traits will become less important over hundreds of thousands of years. In this way, freed from the straitjacket of outmoded religious rules, true freedom and humanity will be possible for all, no matter what their belief — or lack of it. "Spiritual experiences cause changes in brain activity, which is logical and neither proves nor disproves the existence of God. After all, everything we do, think, and experience provokes such changes. 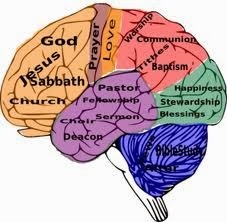 Findings of this kind merely increase our understanding of the various brain structures and systems that play a role in both “normal” religious experiences and the type of religious experience that is a symptom of certain neurological or psychiatric disorders. "Functional scans of Japanese monks show that different types of meditation stimulate different areas of the brain, namely parts of the prefrontal cortex and the parietal cortex. 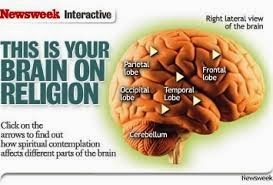 Religious belief is also associated with reduced reactivity of the anterior cingulate cortex (ACC), as is political conservatism. Although the causality of these correlations isn’t clear, it’s interesting that taking initiatives, by contrast, is associated with increased activity in the ACC. The EEGs of Carmelite nuns have shown marked changes during mystical experiences when they felt they were at one with God. In a state like this, individuals may also feel as if they have found the ultimate truth, lost all sense of time and space, are in harmony with mankind and the universe, and are filled with peace, joy, and unconditional love. Neuropharmacological studies show how crucial the activation of the dopamine reward system is in such experiences. In this context, brain disorders are also instructive. 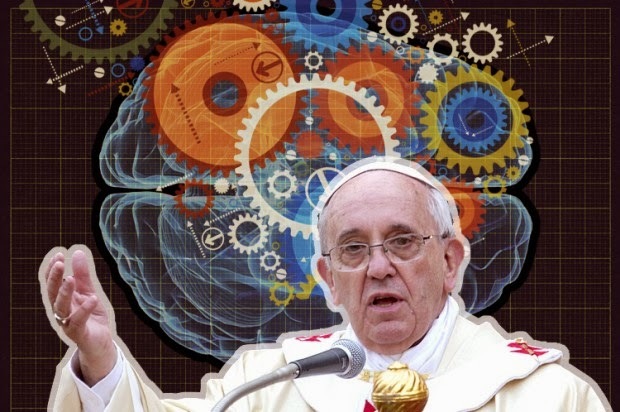 Alzheimer’s disease, for instance, is linked to the progressive loss of religious interest. The more slowly it progresses, the less religiousness and spirituality are affected. Conversely, hyperreligiosity is associated with fronto-temporal dementia, mania, obsessive-compulsive behavior, schizophrenia, and temporal lobe epilepsy. A number of these disorders are known to make the dopamine reward system more active. "Carmelite nuns were asked to remember their most mystical Christian experience while undergoing functional scans. The scans showed a complex activation pattern of brain areas. Activation occurred in (1) the center of the temporal lobe, possibly relating to the feeling of being one with God (this region is also activated in temporal lobe epilepsy, sometimes causing intense religious experiences); (2) the caudate nucleus (an area in which emotions are processed), possibly relating to the feeling of joy and unconditional love; and (3) the brain stem, insular cortex, and prefrontal cortex, possibly relating to the bodily and autonomic reactions that go with these emotions and cortical consciousness of them. Finally, the parietal cortex was also activated, possibly relating to the feeling of changes in the body map similar to those in near-death experiences. "It’s sometimes hard to draw a line between spiritual experiences and pathological symptoms. The former can get out of hand, leading to mental illness. Intense religious experiences occasionally spark brief episodes of psychosis. Paul Verspeek, hosting a local Dutch radio show on Boxing Day 2005, asked psychiatrists how they would recognize Jesus Christ if he returned to Earth. How would they distinguish between him and mentally ill patients who claimed to be Christ? The psychiatrists were stumped for an answer. During the 1960s, when meditation and drug use were popular, many people developed psychiatric problems. They were unable to control their spiritual experiences, which derailed their psychological, social, and professional functioning. In some cultures and religions, however, voluntary engagement in meditative practices, trance, depersonalization, and derealization are quite normal and therefore can’t be seen as symptoms of a psychiatric disorder. Phenomena that Western culture classifies as chicanery or nonsense, like magic arts, voodoo, and sorcery, are considered normal in other cultures. Some also regard visual and auditory hallucinations of a religious nature (like seeing the Virgin Mary or hearing God’s voice) as a normal part of religious experiences. That said, a high proportion of patients with psychoses are religious, as their condition often prompts an interest in spirituality. And many use religion as a way of coping with their disorder. So problems with a religious bearing always need to be looked at in the light of what is considered normal in a particular era or cultural setting. Only in this way can 'purely' religious and spiritual problems be distinguished from neurological or psychiatric ones." While the author notes that "...atheism is linked to intelligence, education, academic achievement, and a positive interest in natural science," it's a sure bet that facts and inductive and deductive logic will prevent any Conservative Sheeplet from understanding the piece (http://www.criminalizeconservatism.com/search/label/conservatives_are_stupid), and they will deny "...religion as a social phenomenon that had evolved along with Homo sapiens. They...(will not see)...it as part of evolution, rather than conflicting with it." The recent history of China and religion shows us that official atheism can't control spiritual belief in a dictatorial fashion, but the experience of the Dutch shows us that thought can move us along the evolutionary path sooner or later. Religion and Conservatism mix about as well as oil and water when we examine the economic motives of Conservatism, that is that the underlying and sole basis of Conservatism and their front group, the GOP, is a return to feudalism. Conservatives have always used the Christian religion to convince people to vote against their best interests, as David Kuo found out (see video: http://www.youtube.com/watch?v=970nu5VqYUk&feature=PlayList&p=EE33B17DA9921442&index=3), and once the Sheeplets and Low Information Voters understand how the Conservative leadership uses them, we're on our way to criminalizing Conservatism.